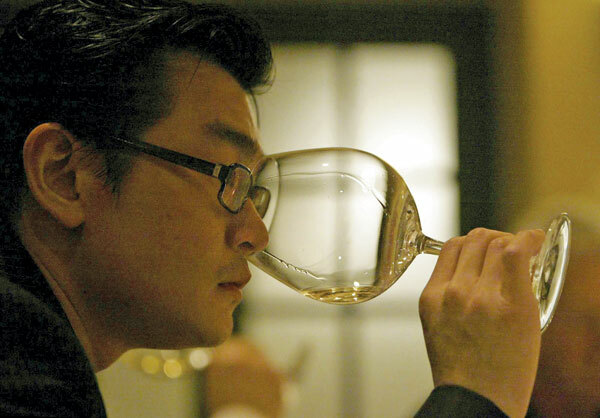 Indonesia-born Rudy Kurniawan is currently on trial in New York, and if convicted stands to become the biggest wine fraudster ever uncovered. He is accused of faking substantial amounts of highly desirable and expensive wines including Screaming Eagle from California and the top wines of Burgundy including Domaine de la Romanée-Conti, which were in fact cheap wines he carefully re-labelled and sold mostly at auction. Amongst the lots he had put to auction which led to his eventual arrest were eight magnums of 1947 Château Lafleur, but David Molyneux-Berry, the former head of the wine department at Sotheby’s, noted that only five magnums of the 1947 Lafleur were ever produced. He attempted to sell several magnums of 1982 Château Le Pin at Christie’s in Los Angeles, but representatives from Le Pin contacted Christie’s to say the bottles were fake, and they were withdrawn. On the second day of his current trial the court heard he was millions of dollars in debt at the time he is alleged to have sold the fake wines, and FBI agents reported finding evidence of attempting to fake wines in his home including corks, capsules, labels, devices to extract corks and devices to rebottle. Many readers will remember Bibendum’s eclectic wine shop in Primrose Hill, London, which closed its physical doors years ago whilst continuing to retail online. However the company’s success in the past decade has really been built on wholesaling wines to the trade, and now the logical conclusion appears to have be reached with the sale of its private client business to Cru London Ltd. Cru London is part of a new, international fine wine business founded by Bibendum non-executive director Simon Farr. Cru Fine Wine plans to open offices in major fine wine markets around the world. The UK entity will trade as ‘Bibendum Fine Wine’ until Spring 2014. Bibendum is taking full responsibility for fulfilling all outstanding orders for private clients including en primeur purchases. New Zealand aims to be the world’s leading producer of high-quality, lower calorie and lower alcohol ‘Lifestyle’ wines, thanks to a new research programme between the wine industry and the Ministry for Primary Industries. The programme is the largest research and development project ever undertaken by New Zealand’s wine industry and is designed to position New Zealand as a leading supplier of these so-called “premium lifestyle wines.” The programme will develop a number of viticulture and winery tools to service “the rapidly growing market,” for lower calorie and lower alcohol wines of high quality.A total investment of NZ$16.97 million has been secured for the programme. “This programme will capitalise on the domestic and international market demand for high quality, lower calorie and lower alcohol ‘Lifestyle’ wines,” says Philip Gregan, New Zealand Wines CEO. 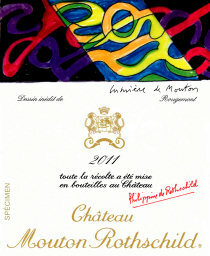 Every year since 1945, a famous contemporary artist has illustrated the label of Château Mouton-Rothschild. The commission for the 2011 vintage was given to the French painter and sculptor Guy de Rougemont by Baroness Philippine de Rothschild. Born in 1935 and a member of the Academy of Fine Arts of the Institut de France, Rougemont is famed for his use of the “serpentine line”, where undulations emphasise or temper contrasts of lightand shade. His drawing for Mouton-Rothschild 2011 is said to reflect “from the clarity of vines in sunshine to the darkness of the cellars.” Artists who have illustrated the labels of previous vintages include Jean Cocteau, Georges Braque, Dali, Miró, Chagall, Picasso and Andy Warhol. Responsible for choosing the artists since the 1980s, Baroness Philippine de Rothschild,the owner of Mouton, gives the artists complete freedom in their designs. The artists receive no fee for their work but are given cases ofMouton Rothschild, including of course “their” vintage. Since 1981 the collection has been shown in many museumsthroughout the world. It is now in residence at Mouton, in its own space, between the newVat Room and their Museum of Wine in Art.